David Alfaro Siqueiros is considered one of the founders of Mexican Muralism, together with Diego Rivera and José Orozco. I remember his name from a fragment of a documentary I saw when I was a kid. While visiting Mexico City a few months ago I saw a few of his murals and also learned a couple of interesting facts from his biography. The last two items remind me of the Soviet mural art of the 1950s and maybe early 60s. 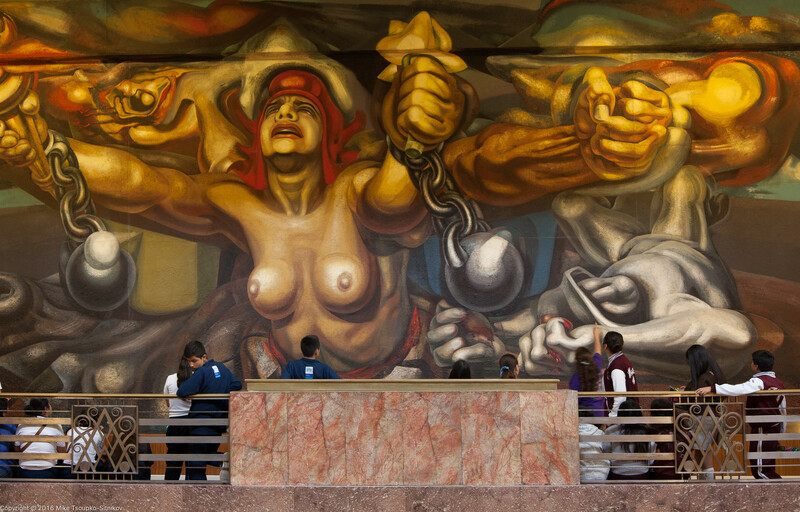 This is of course just a tiny fraction of Siqueiros’ murals one can find in Mexico City. I hope to see more in the future. One thing that I learned about Siqueiros’ life that surprised me was that he took part in an unsuccessful assassination attempt on Trotsky in May 1940.